A fisherman caught an octopus and put it in a cigar box. He closed the box and tied it shut with rope while he continued his fishing. Moments later when he turned to check on his catch, he found the octopus standing beside the still-closed box, peering at him. (What happened there? Was the fisherman forgetful? He thought he had placed the Octopus in the box but he didn't? The fisherman was left scratching his head. To solve the mystery, he had to re-enact the scene. He put the octopus back in the box and watched to observe what would happen next. Soon, the Octopus stretched the tips of one of its arms to become paper-thin and slipped it through the crease of the box, established a grip, and pulled the rest of its body out by flattening itself entirely! If the story is true, what does that bit of 'magic act' makes you think of? For me, it is Mr. Fantastic (Reed Richards) of the fictional superhero team, 'Fantastic Four'. Reed Richards gained the power of elasticity from irradiation by cosmic rays. He could stretch himself through door gaps and tiny holes. Why is such a common animal in possession of 'super power'? Was the escape artist Octopus in the story an anomaly? The fisherman has solved his mystery. Let's solve ours. I cannot re-enact the scene. Here's the next best thing. The power of elasticity caught on video! By the way, that Octopus is not just large, it is a giant - known as the Giant Pacific Octopus. Knowing that the Octopus's power of elasticity is a fact, let's get to the bottom of this mystery. Mr. 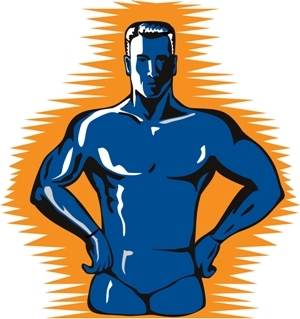 Fantastic gained his power of elasticity from irradiation by cosmic rays. What's the Octopus's story? In its pursuit of freedom, the Octopus made a trade. The Octopus's ancestors are mollusks. Examples of mollusks are oysters, clams and snails. Just like the other mollusks, the Octopus's ancestors have shells that cover their outer bodies for protection. Over time, the Octopus traded off the protection of a hard shell in favor of mobility. The only hard parts left in an octopus are its beak and some cartilage in its 'skull'. An Octopus can squeeze itself through small holes, as long as it can fit its beak and eye. When executing its power of elasticity, an Octopus stretches and thins out its muscles. When it squeezes through to the other side, the muscles again contract to their normal state. That's how it is done! Having lost its cumbersome shell, the Octopus enjoys freedom and mobility. It is however, a heavy price to pay. Without shell, scales, bones and such, the Octopus is all meat. Even we humans find them delicious and easy to eat. They are basically walking rump steaks and all predators of the deep love them. To avoid being someone's meal easily, Octopuses have to find alternate ways to defend themselves. Their power of elasticity is one of them. They'll stretch themselves out and squeeze their bodies through tiny openings, such as between rocks, cracks and crevices to escape predators. Such places are where they spend the majority of their time, including discarded shells and beer bottles. Oh yes! You've got to see this. Animals are highly symbolic in our culture. Every animal has something to teach us. They have traits we aspire to achieve. They provide us with visions how our lives could be. Animal themed jewelry is a physical reminder of the qualities that inspire us. The animal's attributes can be internalized into our own characters. In the case of the Octopus, it carries quite a few symbolisms. We'll look at more of them in future 'Animal Chat' but for now let's focus on the Octopus characteristics of elasticity and flexibility. The Octopus is an invertebrate, meaning it does not have a backbone. The absence of bone structure and shell gives the Octopus amazing flexibility and fluidity. One reason Octopus jewelry are worn is the intention to loosen up and relax, be flexible in life and go with the flow. Another is the desire for unconventional means to overcome problems.  Octopus accessories are also favored by folks who have experienced many changes in their lives and have found themselves with flexible personalities. 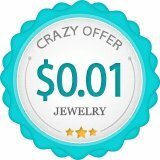 Do you like octopus jewelry or buy them as gifts? 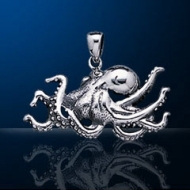 If so, have a look at our lovely silver octopus pendant collection!